Established in 2008 as one of the first online sports stores in SA, we now take orders every minute of the day and deliver all over South Africa and the world. 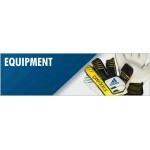 ProSoccer specialises in a huge range of sports merchandise. On the ProSoccer site (www.prosoccer.co.za) we offer the very latest replica soccer shirts from around the world, including International and European leagues, and of course the English Premiership. We're one of a few online sports retailers to offer personalisation on both football and rugby shirts. For rugby fans we have a selection of shirts for some of the major Rugby teams, plus a selection of leisure and training wear. 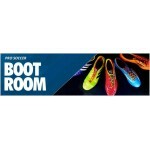 If it's footwear or leisurewear you're looking for, ProSoccer is the site to visit, with a huge range of training shoes, soccer boots, track suits, and gym wear. We stock the leading sports brands including (but not exclusively) Nike, Reebok, Adidas, Umbro, Puma, Canterbury and many more. 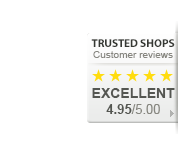 ProSoccer is a secure site, offering cost effective delivery on all orders both locally and worldwide. FOR 365 DAYS A YEAR WE ARE THE GAME. Soccer is a way of life. It’s a religion, followed and loved by millions of people all over the world, on every continent, from every country, every city - fans of the game’s superstars, followers of the game’s top clubs, devotees of the global game. Soccer is in ProSoccer’s blood - it’s our way of life. Every major tournament, all the top clubs, the game’s star players, the world’s best leagues, the premier cup competitions, whatever is happening ProSoccer will be there. For the soccer mad millions, ProSoccer.co.za is the ultimate online destination - the place where they can get exactly what they want, whenever they want it. 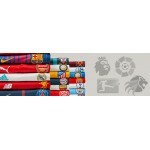 The very latest authentic merchandise from every top club, country and major tournament, delivered to you, anywhere on earth.